TWO MASTER BEDROOMS! Yes, the home was originally built to suit, to include two matching master bedrooms with master bathrooms. Two other bedrooms located off of the family room as well give lots of room for a larger family. 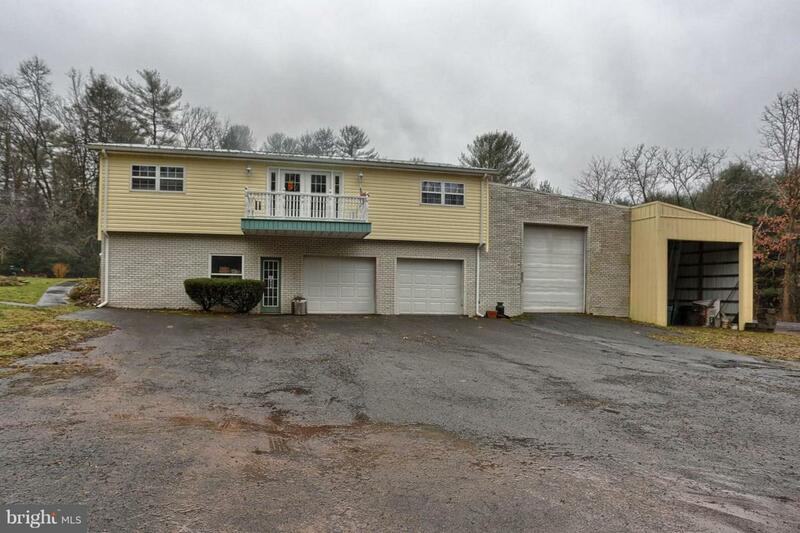 If you have a need for garage space, this home has it. Three bays on one side of the home with an additional carport....then two more spaces located on the opposite side that are also incorporated under the home to park your personal vehicles and gain interior access from the garage to the home. One of the garage bays has a pit for easy access to vehicles. This parcel also has a mobile home on a foundation that is currently rented for $700 per month and tenants would like to stay...live in one home, rent the other. Please contact your lender to make sure your mortgage product will cover this type of a purchase prior to scheduling your appointment. **PLEASE NOTE** This property is located in Dauphin County, not Schuylkill. We are working on system-related issues to get this reflected accurately.